Pope Benedict XVI, the spiritual leader of 1.2 billion shocked the world today by saying he will resign at the end of the month. He decided to take the decision due to his "advanced age"
In nearly 600 years, this is the first time a pope has resigned. Gregory XII was the last pope to resign in 1415. He was said to have taken the decision to end a supposed civil war in the church where more than one person claimed to be the Pope. 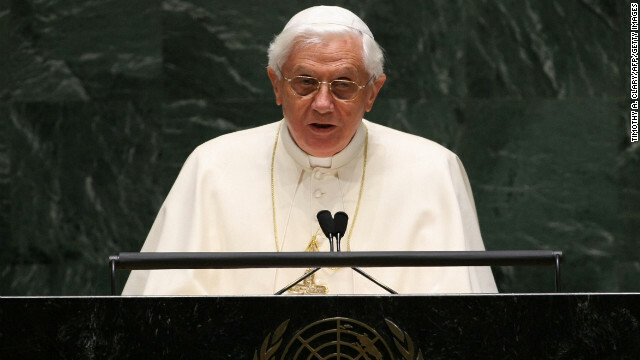 Pope Benedict XVI is the 265th Pope, the sixth German to serve as pope and the first since the 11th century. The Vatican spokes man Rev. Federico Lombardi stated that before Easter a new pope would be elected. Its been said that after his resignation, Benedict, 85, will probably retire to a monastery and devote himself to a life of reflection and prayer.